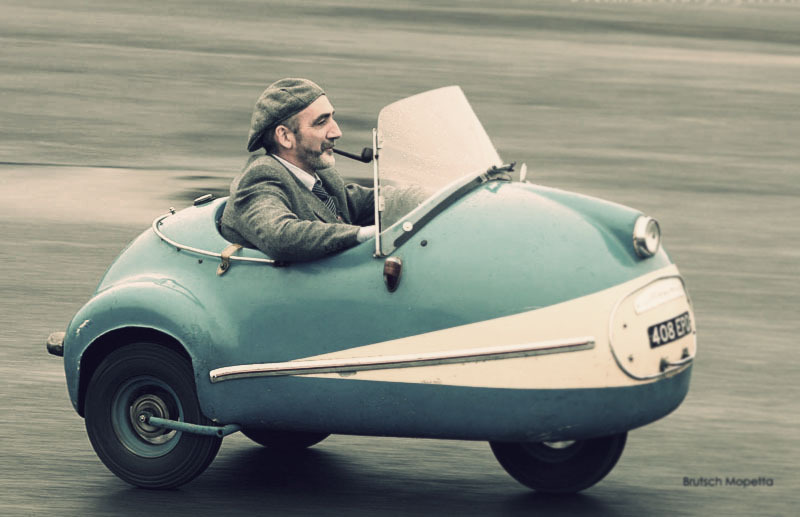 Via the kind Mr. Gregory La Vardera, this Brütsch Mopetta is as charming as its driver’s attire. I think I may require a dedicated Streetliner smoking pipe. I’m pretty sure that now that I’m going down this “building stuff” road, I’m not going to be able to go back. Perhaps a tribute microcar would make a great follow-up project.